All Made in the USA! 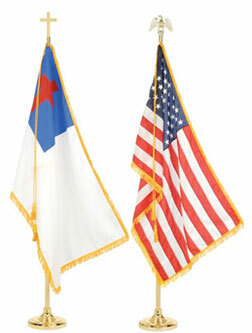 Display your faith with these popular cotton Christian Miniature flags. Perfect for small or large group celebration. These flags have no tip. Prices are per flag.